Robert Morton Duncan was an American prosecutor, judge, and the first African-American to serve on the Ohio state Supreme Court. Born on August 24th, 1927, in Urbana, Ohio, Duncan is the son of parents Benjamin Austin and Wanda Brown Duncan. Duncan attended a desegregated school in Urbana at a time when de facto or de juresegregation relegated most African American students across the nation to all-black schools. Duncan earned his Bachelor’s degree from Ohio State University in 1948, and his law degree from the University’s Moritz College of Law in 1952 after serving as the class president. He was admitted to the Ohio state bar the same year and began his law career. Despite his early accomplishments, Duncan voiced concern over his future, noting the small number of black attorneys in Ohio and the United States. In 1955 Duncan married his fiancée, Shirley Ann Thomas, and together they had three children, Linn, Vincent, and Tracey. He then took a brief hiatus from law and served in the United States Army in Korea from 1952 to 1956. In 1956, William Saxbe was elected as Ohio’s Attorney General. Saxbe, a Republican, asked Duncan to be his assistant, and Duncan accepted. While Saxbe later lost his office, this experience changed Duncan’s outlook, diminishing his self-doubt about his place in law. In 1958 Duncan became an attorney with the Ohio Bureau of Workers’ Compensation, working here until becoming the assistant city attorney in Columbus, Ohio in 1960. For the next few years he tried numerous criminal cases, gaining significant legal experience. In 1963 he returned to work for Saxbe, who had recently won back his position as Attorney General. Duncan stayed in the Attorney General’s Office until 1966, when he became the Duncan became the first black judge elected to the Franklin County (Columbus) Municipal Court. In 1969, Republican governor James Rhodes appointed Duncan a vacancy on the Ohio state Supreme Court. 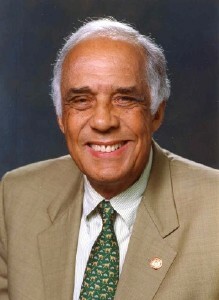 Duncan later ran for a full term and won his election, becoming the first African American elected to serve on the state’s highest court. In 1971 President Richard Nixon appointed Duncan to the U.S. Court of Military Appeals for the Armed forces, the highest court for military personnel. Again, Duncan was the first African American to hold this post. Eventually he became the court’s chief judge. In 1974, Nixon appointed Duncan to the U.S. District Court for Ohio’s southern district, again making him the first federal judge in Ohio. While on the bench Duncan in 1979 ordered the desegregation of public schools in Columbus, Ohio, a case he later claimed was the most impactful of his legal career. After 11 years of service, Duncan retired from the U.S District Court in 1985 to join the private firm of Jones, Day, Reavis & Pogue. Duncan continued to serve his community, joining many boards and civic groups in the greater Columbus area. Robert Morton Duncan passed away on November 2, 2012 in Columbus, Ohio. He was 85 at the time of his death. “Robert Morton Duncan, former federal court judge,” Akron Beacon Journal (November 2, 2012); “Remembering the Honorable Robert Duncan ’52,” http://moritzlaw.osu.edu/amicus/2013/02/remembering-the-honorable-robert-duncan-52/; “Robert Morton Duncan,” https://www.supremecourt.ohio.gov/SCO/formerjustices/bios/duncan.asp.